What do you do with old mulch that had been left on top of annual flower beds or vegetable beds during the winter? 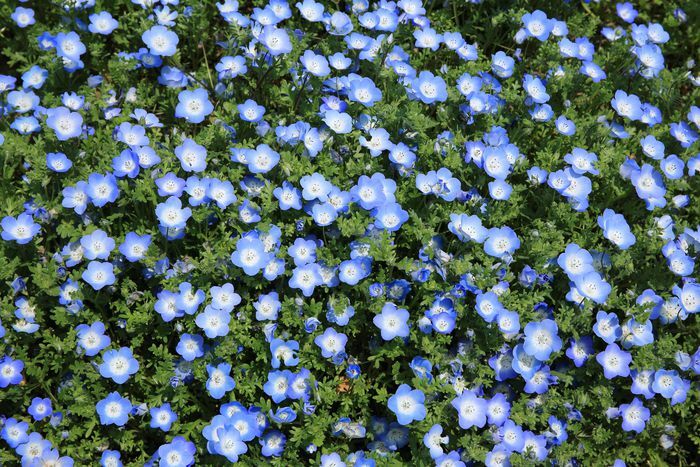 Note that this is a different issue from that of what to do in garden beds that contain live plants (albeit perhaps dormant) right through the winter, where the focus of the question is primarily on the plants. If the condition of the old mulch has not decomposed appreciably by the time spring comes, it will still be usable. How do you determine its condition? Well, scoop up some of the mulch in your hands. Has it more or less broken down into fine particles, so that it is no longer clearly distinguishable from dirt? In that case, it will no longer function very effectively as a mulch; it is time to replace it. If, however, it has mostly retained the look and feel that it originally had, then you can re-use it. The one exception would be if your plants in this garden bed had experienced disease problems last year that you think can be traced back to the mulch; in which case you would want to remove and dispose of said mulch properly (check with the officials in your town to determine a proper way to dispose of such material). If upon inspection, you decide that the old mulch has not, in fact, decomposed appreciably, you should rake the old mulch aside for now so that you can prepare the planting bed. 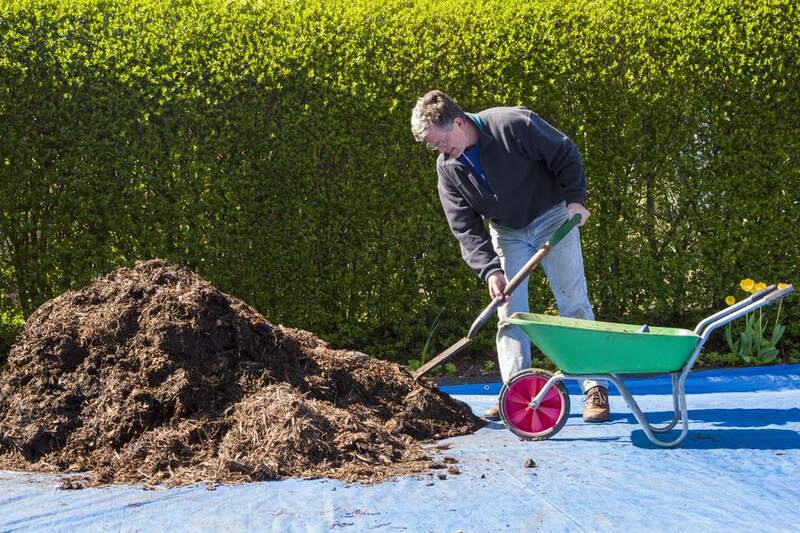 If you need to get it out of the way, shovel the mulch into a wheelbarrow, dumping successive loads onto a tarp off to the side. Apply compost onto the vegetable garden bed or annual flower bed, and till it under or work it into the soil with a spade. Now you can see why the first instruction was to rake the old mulch aside: in the course of rototilling or spading the compost into the garden, the old mulch would have been tilled or spaded under, forcing you to acquire and apply new mulch. That would be a waste of time, energy, and money. But what if the old mulch has, in fact, decomposed appreciably over the course of the winter? In that case, work it into the ground as organic matter so that it can serve as a soil amendment, along with the compost. Then acquire a load of new mulch as a replacement. Although "cover crops" (which are so-called "living mulches) is terminology more often heard in agricultural circles than in landscaping circles, some homeowners may find cover crops quite helpful. Mow cover crops first, then run a garden tiller over the garden -- a process known as "tilling under" the cover crops. By mowing first, the garden tilling will go easier, since you will be tilling shorter vegetation. After mowing, spread compost over the same garden bed, and till that under, too, just as you would with any beds that did not have cover crops.